Sorry Mr. Roby, you’ve got it all wrong. While the myth is that the American steel industry no longer exists, the reality is that the American structural steel industry is alive and well. America produces more structural steel than it uses. American steel mills produced 7 million tons of structural steel in 2011. 6.3 millon tons of structural steel were used in America in 2011. The USA is a net EXPORTER of structural steel. Existing American capacity to produce structural steel is adequate to meet all domestic demand in the foreseeable future. American structural steel is made by American workers. The American structural steel industry provides jobs for 150,000 Americans. 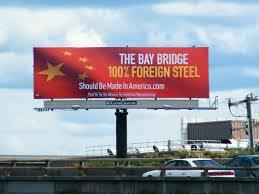 One American job is produced for every 45 tons of structural steel produced, fabricated and erected in America. American workers in over a dozen mills throughout the US produce structural steel. American workers fabricate structural steel at 1,800 local fabrication shops, the vast majority of which are family businesses. American workers annually erect structural steel on more than 10,000 project sites across America. American structural steel is the ultimate American construction material. Wide-flange structural steel was invented in America by Andrew Carnegie. Hot rolled structural steel was first produced in America by Carnegie Steel, the forerunner of the US Steel Company. The first building to use structural steel as a framing system was in America (The Home Insurance Building in Chicago). Each year more than 60% of non-residential buildings built in America are framed in structural steel measured by square footage. American structural steel preserves the natural resources of America. American structural steel is made of steel scrap collected in America. 90% of the weight of American structural steel section comes from recycled materials. 98% of American structural steel is captured at the end of its life and recycled into new American steel products- a true cradle-to-cradle material.